If there’s one brand the fashion world can’t stop buzzing about, it’s Vetements, an anonymous design collective—or really, a group of friends—helmed by head designer Demna Gvasalia. Since it burst onto the fashion scene a mere two years ago, Vetements has had an indisputable influence on the industry, injecting bursts of fun and alternative culture into the heart of fashion. Street style stars sported the brand’s patched jeans in every city during fashion month, and the brand’s other signature styles, from skater-influenced hoodies to extra-long-sleeve tees are easy to spot once you know what to look for. While the designs may seem untraditional (the shoes feature heels made of lighters), traditional retailers from Net-a-Porter to Nordstrom can’t seem to keep the pieces in stock. The prices may be steep and the wearability may be questionable to some, but still the obsession with the brand doesn’t seem to be slowing down. Fashionable celebrities like Kylie Jenner and Rihanna are also jumping on the trend and wearing styles by the brand. 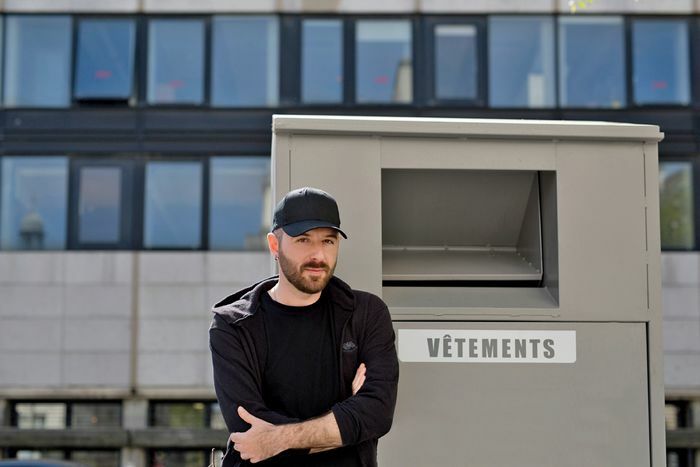 If you needed further proof of Vetements’ influence in the fashion industry, this year Gvasalia took over for Alexander Wang at Balenciaga, and the brand was nominated for the 2015 LVMH prize. Clearly, we can expect more big things from this fashion powerhouse. Read on to see how the style set is already wearing Vetements, and then shop a few of our favorite picks below! The Vetements rain slicker was a popular choice among the street style set. 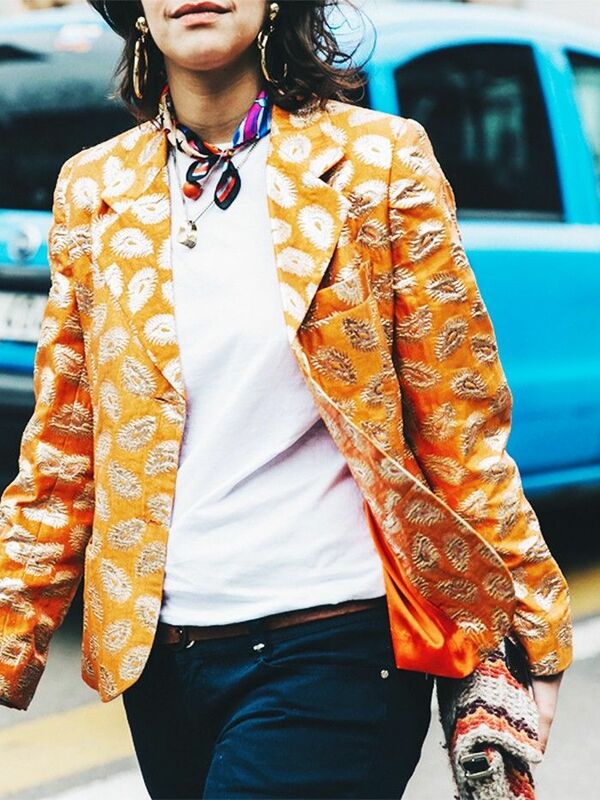 Yasmin Sewell wore a floral-print Vetements dress with contrasting red detail. These Vetements jeans featured a chopped hem and reconstructed back pockets. We’ve never seen sweats as cool as these Vetements ones on Pernille Teisbaek. Gilda Ambrosio gave the floral dress an unexpected spin by pairing it with futuristic platform boots. From behind, Vetements jeans are easy to spot. Selena Gomez made a bold statement in a sweatsuit by the brand. Elina Halimi dressed up her Vetements hoodie with a leather skirt and Louis Vuitton clutch. 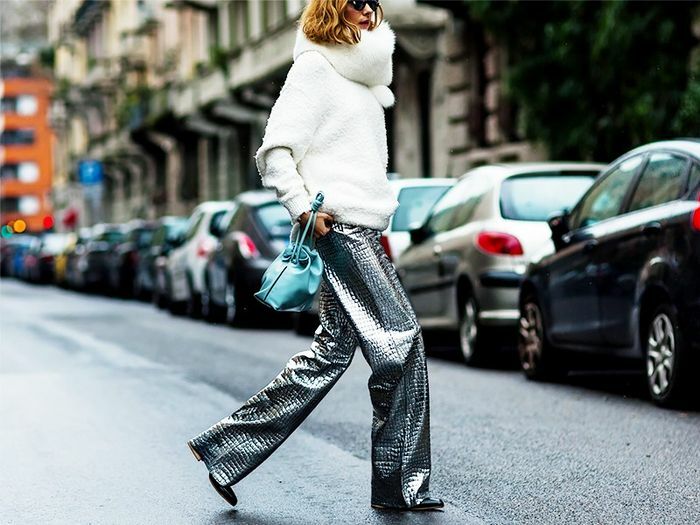 The signature hoodie was both cozy and chic on Chiara Ferragni. Kylie Jenner wore a sweatshirt by Vetements as part of an all-black ensemble. Hailey Baldwin upped her day-off style, opting for a Vetements sweatshirt and Balenciaga boots. This Vetements sweatshirt kept Rihanna comfy at the airport. Will jean miniskirts make a comeback thanks to Vetements? Camille Charriere chose the ever-popular jeans during New York Fashion Week in February. Curious to learn more? Read about Gvasalia’s appointment at Balenciaga!